It’s spring, and garden centers everywhere are getting ready to service the needs of home gardeners and small landscaping services. Garden center search traffic is similar to Christmas retail search traffic in that the majority of the searches occur during three or four months of the year, peaking in June and falling off dramatically for the rest of the year. With such a short window of opportunity, what is the best way to exploit this traffic? The answer: understand how consumers search for your products and services. Almost everybody gardens in one way or another. They may simply be buying houseplants, and caring for them. Or they may be buying exotic plants, shrubs and trees for a more formal backyard presentation. Regardless, consumers do exhibit a very defined set of search behaviors when looking for a garden center. 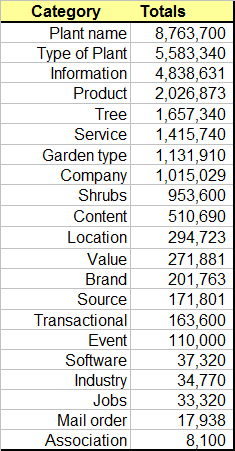 There are about 31 million global monthly searches (800 unique queries) associated with the Garden Center dataset. About half of these (15.8M) are considered local. When you classify user intent, you find 21 distinct categories of behavior. In the following table, you can see which categories interest consumers the most. One of the more interesting observations about this data is how few informational searches there are. Generally, informational searches generate the most traffic, and are usually the top category of behavior. A second observation is that consumer behavior is far more focused which provides many great opportunities for developing custom landing pages. This data has important implications for your website’s information architecture. Let’s name two. Less than 1 percent of consumer searches are for a business brand name – their focus is on products and services, not on your specific business. The top three categories have consumers searching for products, plants by name and plants by type. 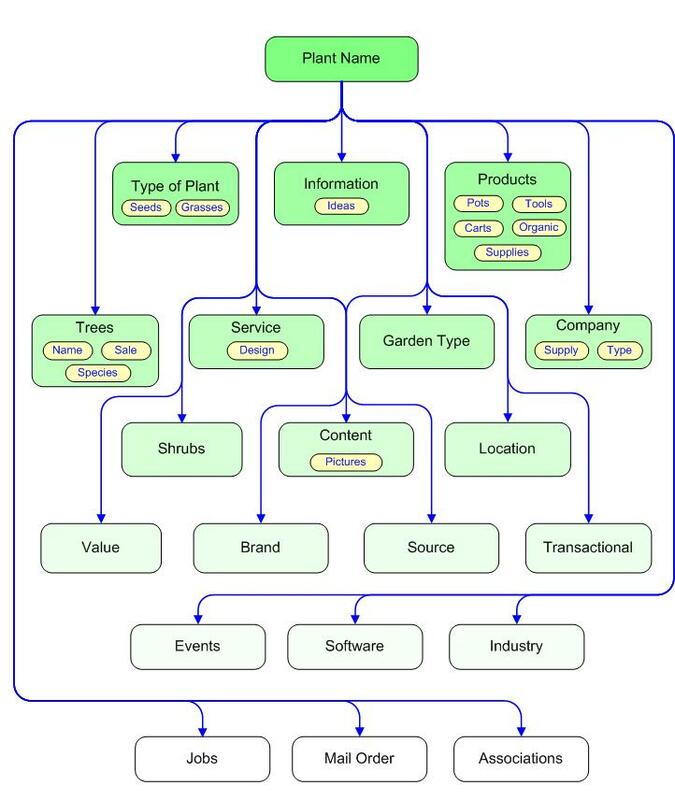 This should be the focus for your website information architecture. Often, high-level categories will have important sub-categories worth noting for architectural purposes. The next table shows that five of the high-level categories have interesting sub-groupings that provide options for experimenting with micro-sites. The following graph orders the search behavior categories from top to bottom by search volume. You will notice that the first category has the most traffic, but the Products category has the most complexity. Let’s take a look at the categories in a little more detail. To finish reading this article go to Search Engine Land where I first published this analysis.